I just bought this bamboo and I was keeping indoor where sunlight is plenty. But I seems the bamboo is trying out. I have attached the images of the leafs, please let me know what should I do. 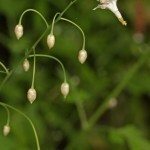 Although I cannot see as much of the plant as I would like... It would appear that this is, what is called, lucky bamboo. If this is, indeed, the case then it will not have the same care as bamboo. 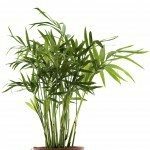 Bamboo will prefer full sun, while the lucky bamboo (dracaena) will prefer bright, but indirect light. Full sun can scorch the leaves, as seen in these pictures. The alternative is a fungal infection, but I can't assume that right off. What kind of soil do you have this planted in? I'm using red sand, river sand with vermicomposite. This is not a lucky bamboo, this is common bamboo.